Not sure how accurate this test is, but are you left-brained or right-brained? 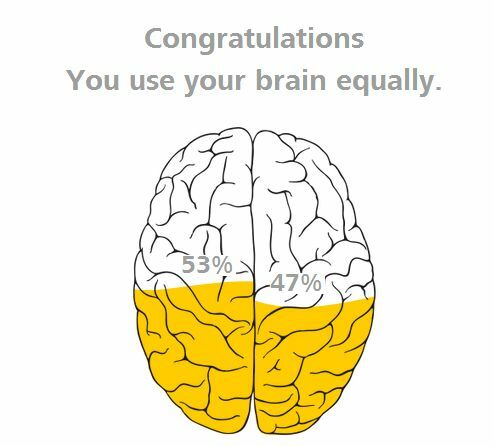 I’m equal-brained, according to this test. This does not really surprise me, since I’ve always suspected that I have a more active corpus callosum than most people, though I have no objective tests to support this assertion.